Daniel Stashower has 1 media appearance. 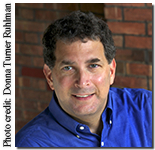 Daniel Stashower discusses The Boy Genius and the Mogul: The Untold Story of Television. discussing The Hour of Peril by Daniel Stashower. The Guest Authors will be "The Profs" at the Saturday sessions. This will be the "Prequel" to The Mystery Writers of America Univeristy to be held on September 13th (Saturday) at the Westin Hotel 909 N. Michigan Avenue, Chicago. Cost: $50 for current MWA members and $75 for non-members. Mystery Writers of America University (MWA-U) is a full-day, low-cost writing seminar designed to teach participants the essential skills needed to write a novel, from the idea stage to the final editing. The focus is on the craft of writing, and the college-level courses are taught by published writers and experienced teachers. Scheduled instructors-authors include Jess Lourey, Hallie Ephron, Daniel Stashower, Reed Farrel Coleman, Harley Jane Kozak, and Hank Phillippi Ryan. For more information, please consult the Mystery Writers of America's website here. If you would like a signed copy of a book by these authors, but are unable to attend the event, please call the San Diego store at 858-268-4747. Daniel Stashower discusses and signs his forthcoming book "The Hour of Peril: The Secret Plot to Murder Lincoln Before the Civil War." DANIEL STASHOWER - The Hour of Peril: The Secret Plot to Murder Lincoln Before the Civil War Award-winning biographer and narrative historian Stashower tells the true story of the “Baltimore Plot,” an audacious conspiracy to assassinate Abraham Lincoln on the eve of the Civil War. Daniel Stashower discusses Teller of Tales: The Life of Arthur Conan Doyle. Daniel Stashower is currently considered a "single author." If one or more works are by a distinct, homonymous authors, go ahead and split the author. Daniel Stashower is composed of 2 names. You can examine and separate out names.